When you create a new macro, you have the option of assigning it to a keyboard shortcut by typing the shortcut in the Keyboard Shortcut box on the Record Macro dialog box. When you do this, the macro runs when you press the Ctrl key and the specified lowercase key simultaneously. If you specify an uppercase letter for the key, you can run the macro by pressing Ctrl+Shift+the specified key. Unfortunately, Excel does not stop you from creating shortcuts that override other predefined Excel shortcut keys. If you specify a shortcut key combination that matches a Microsoft Excel shortcut, your new shortcut overwrites it;each time you press the shortcut keys, your macro — not the Microsoft key combination — runs. For example, the Save command shortcut is Ctrl+s. If you create a macro with a shortcut key of s, your macro runs instead of the Save command when you press Ctrl+s. 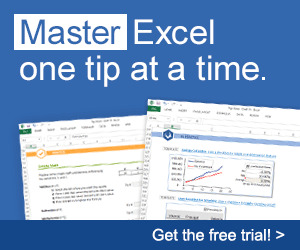 Excel does use many of the available shortcut keys, so you are bound to overwrite one. Keep in mind that if you use an Excel shortcut, you do not want to create a macro shortcut that overwrites it. ■ The Stop Recording toolbar appears. Q Press the appropriate key strokes to record the macro. ■ Excel records the macro and the Stop Recording toolbar no longer displays on the screen. -■ The status bar reminds you that a macro is recording. LH When complete, click the Stop Recording button (0).